This was another seminar we pioneered in Ireland at the turn of the century and again its conception was based on feedback on our retirement planning seminars. Many of our retirement seminar participants strongly indicated to us that would loved to have had access to the financial information at a much earlier stage in life. The issues that were considered most pertinent were occupational pension schemes, taxation, financial planning to include budgeting and dealing with debt, and future developments inthe social insurance system. For clients wishing to explore this option for their employees we work with them directly to customise the programme to best suit their employees. The target audience for this programme is those aged between 30 and 50 years. In response to the needs of our clients to balance budget against providing best possible support to employees we also devised in recent years a half day version of this seminar. Please Contact us to find out more about our Mid Career Financial Planning courses for your organisation. 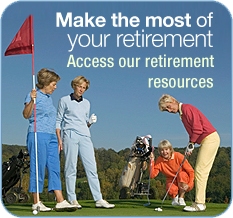 Thousands of people have attended our retirement planning seminars throughout Ireland and have benefited greatly from the experience in making better plans for a rewarding retirement. Our greatest satisfaction comes from the number of participants telling us that having gone through one of our seminars they now see retirement as a positive experience and not a negative as had been the case beforehand.